As one of Nigeria’s fast rising gospel artist, Mary Fiye Akinyosoye is a spirit filled minister and a song writer. She hails from ondo state. She s married and blessed with beautiful children. 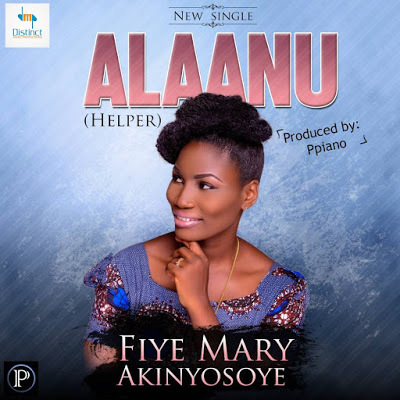 Alaanu (Helper) is a song to communicate with our creator. It was inspired by the Holyspirit. Alaanu (Helper) was beautifully Produced by Ace Gospel Music Producer Adeniji Peter(Ppiano) for Distinct Music Productions.